There is much in the airwaves about the loss of privacy in the internet-enabled world? Have you wondered about it yourself? Of course, there is much truth in it all. It is a fact that modern-day digital technology, with facial recognition and the likes of it, poses a grave question on privacy. Organisations (& hackers) have been able to link pool all data about an individual and use it chilling effects. Many business models today rely on the collection, organization, and resale of ‘your and my’ personal data. And as the world wrestles with this, there are people who are working on reclaiming the potential of the ‘original’ internet. Their answer: Blockchain! For all the noise surrounding it, Satoshi Nakamoto brought Blockchain alive in 2008. But since then, it has made rapid strides. Blockchain technology holds the promise of offering the best of both worlds. That it would offer personal information just as much as its needed and yet protect privacy. Blockchain has proven that Transparency and Privacy can co-exist in a peer to peer decentralized network through ‘Cryptography’. 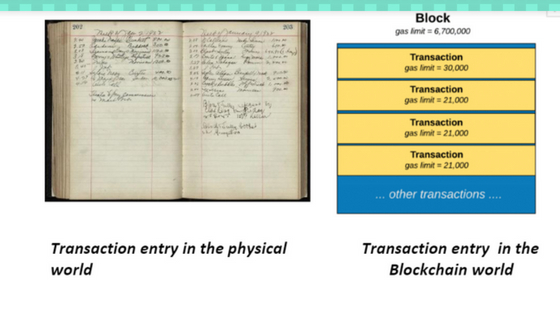 The blocks in the blockchain are linked using Cryptography. In more ways than one, ‘cryptography’ is at the very core of Blockchain and developing an understanding of this is fundamental. Cryptography is not new or unique to Blockchain. Whatsapp announces it proudly letting you know that no one else can see those messages but for the sender and the receiver. So do several other apps. In fact, people around the world, over time have worked with their own ‘encrypted’ messages through the ages! From the Pharos of Egypt to Julius Caesar! Modern-day cryptography, by extension, has different forms. Cryptography or encryption on the Blockchain is the means to ensure that ‘only’ the intended recipients have access to the contents of the message. 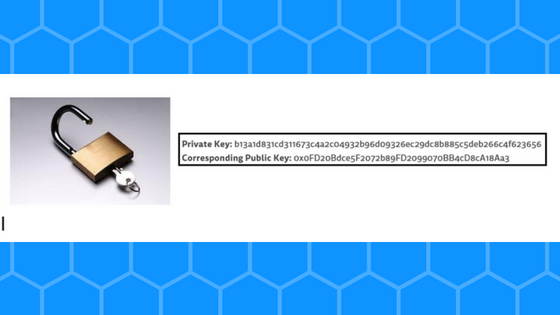 Blockchain uses a combination of ‘public key’ and ‘private key’. Let’s try and keep it simple. Think of your safe where anyone can ‘deposit’ documents but only you have the key to open it, retrieve it and access it. Let’s assume that you need certain important documents from your colleague. You give him the ID and location of your safe for him to deposit the documents. Once he does so, only you can open the door now, with the key you have. This is how Blockchain combines both public and private in cryptography to make it doubly secure. While a lock and key in our physical world take the form of metal. In the world of Blockchain, the public and a private keys take the form of an alphanumeric string. Lock and Key in the physical world Public and Private Key in the Blockchain world. Now assume you maintain a notepad. A notepad where you make a note of all the documents and valuables that have been given to you. You also initial your name after it along with the date, to prevent confusion later on. Won’t you be better off? Blockchain does exactly that to keep a record too. The combination of the transaction (colleague giving you documents on a particular date) and your signature/initials (private key) create a unique entry in the notepad called Digital signature which looks like the one below. Well, physical theft is a possibility in our worlds, why can’t the same happen in a Blockchain? In the physical world, someone will need to use brute force to break open the lock/door and get access to the documents or valuables in the safe/room. The ease of breaking open depends on the strength of the door, the sturdiness of the lock. In a Blockchain world, someone will need to guess the string of numbers and alphabets or Digital signature correctly. To have a 1% chance of guessing a digital signature the entire Bitcoin network would have to work together for 5,000,000,000,000,000,000,000,000,000,000,000,000,000,000,000 years. Thats a tall order, I would think! Pingback: The coming toether of Block & Chain is not often understood in full.